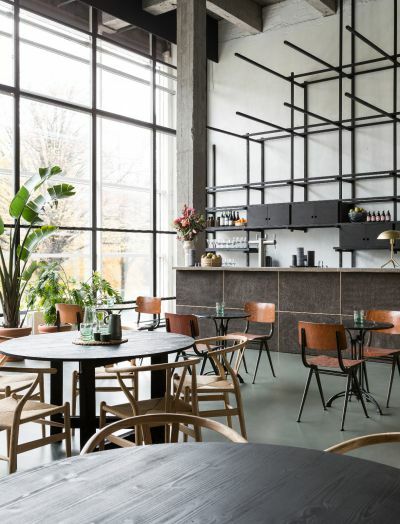 Fosbury & Sons has taken up residence in the WATT-tower in Antwerp, a building by legendary modernist architect Léon Stynen. 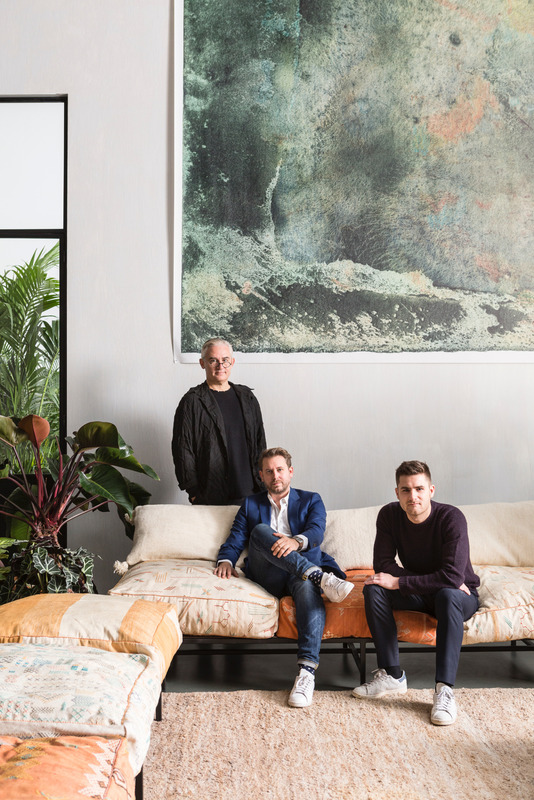 On the impressive first floor Fosbury & Sons founders Stijn Geeraets and Maarten Van Gool have launched a new and high-quality way of working, 'the renaissance of work', focussing on the needs of today's generation. Fosbury & Sons is an inspiring and professional workplace where entrepreneurs, digital nomads and larger companies come together and benefit from all kinds of additional services. As a member, you will enjoy the comfort of a professional office, with the welcome warmth of your living room, the services and looks of a hotel and the fun of your free time. 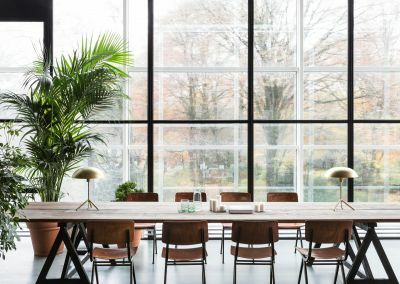 The impressive 3000 m² area was decorated by the Antwerp-based interior design studio Going East. With Fosbury & Sons, Stijn Geeraets and Maarten Van Gool introduce a new era of working, in cooperation with top entrepreneur Serge Hannecart, CEO of the Antwerp property developer L.I.F.E. 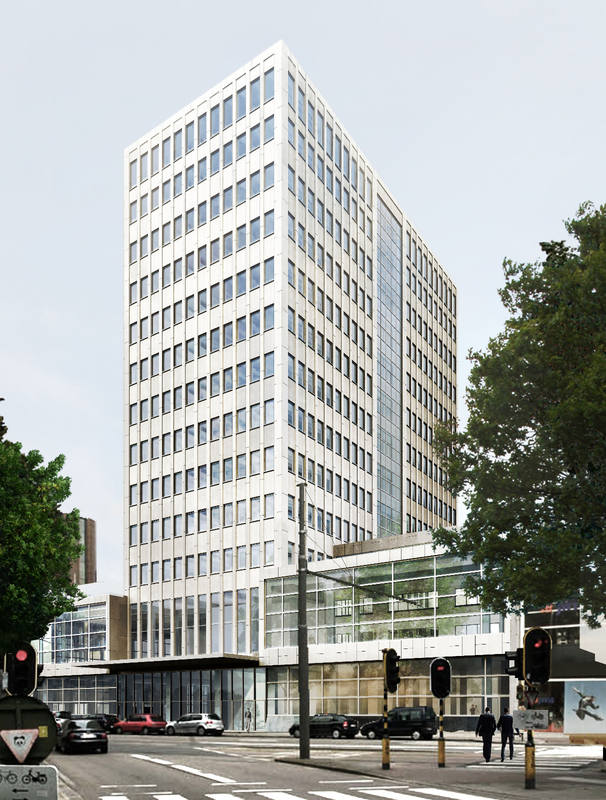 Along with L.I.F.E., Fosbury & Sons invested 6 million Euro in 250 new workplaces. In addition, this new way of working can partly solve the mobility issue. This way, employees don't have to commute to the head office every day, but they can still work with colleagues in a professional environment. 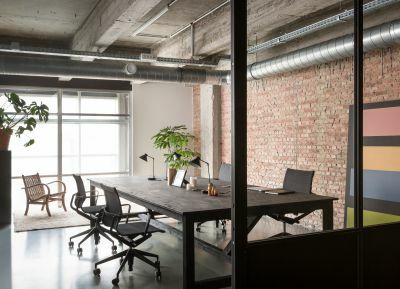 Fosbury & Sons offers an inspiring answer to that grey office and look-alike work mentality. Collaborations outside the boundaries of companies, literally and figuratively, allow for flexibility and entrepreneurship - with the necessary portion of entertainment. 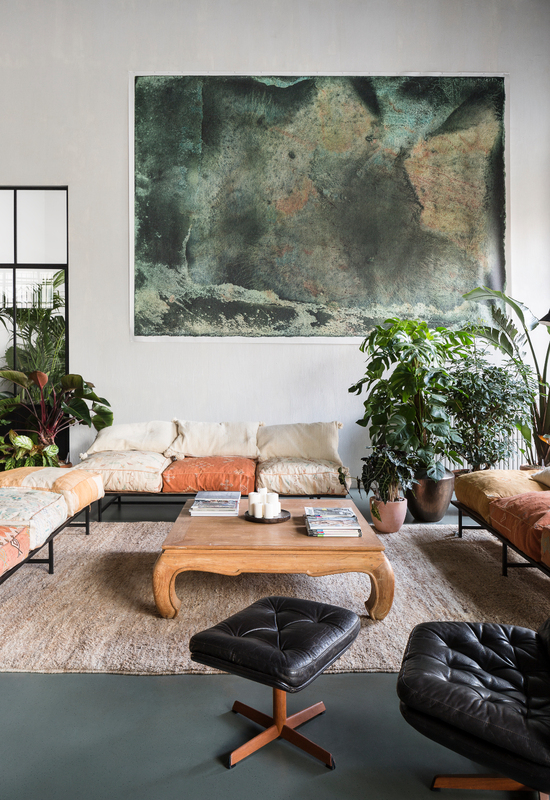 Fosbury & Sons offers 3000 m2 of creative energy on the first floor of the WATT Tower. The impressive plateau is supported by concrete columns and the 6 meter high windows overlook the King Albert park landscape. The entire building was built in 1958 by the legendary Belgian architect Léon Stynen. The pioneering Antwerp design office, Going East, founded by interior designers Anaïs Torfs and Michiel Mertens, turned the creative hub into a professional interior with a mature appearance. The interiors of the recently re-opened gourmet restaurant Veranda and the traditional bakery Konditori, are examples of Going East projects. "We create a unique setting per project. We love a mix between old and new, by using natural materials in combination with an ethnic touch. There is a lot of customization in Fosbury & Sons in particular. Customizing often also means experimenting. The bar for instance is built completely of 100% recycled bricks and fibreglass." - Anaïs Torfs. 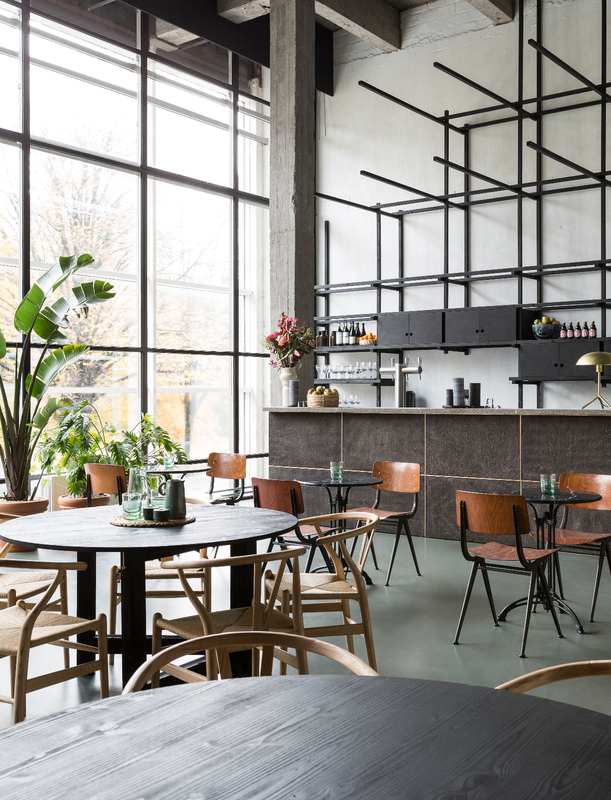 The interior of Fosbury & Sons intends to leave you with a kind of High Line (New York) - like feeling. When walking around at Fosbury & Sons, you can take different types of walks and discover something new each time. A new route, a new bit of space. Going East focused on that greatness and breathing space to avoid the typical feeling of a classic office. The doors at Fosbury & Sons have officially opened on Monday, 12 December.